Researchers in Germany have built on previous work by MIT to create a flat band in graphene. |SOURCE| Scientists at the Helmholtz-Zentrum Berlin Fur Materialien Und Energie (HZB) have discovered a new way to enable a two-layer graphene system to conduct electricity like a superconductor. Graphene is an allotrope of carbon, consisting of a sheet of a monolayer of carbon atoms. These atoms are firmly bound in a hexagonal honeycomb lattice. Graphene is known for its uncommon properties. It is one of the thinnest and strongest materials known to man, and also an efficient conductor of electricity (although not a superconductor). 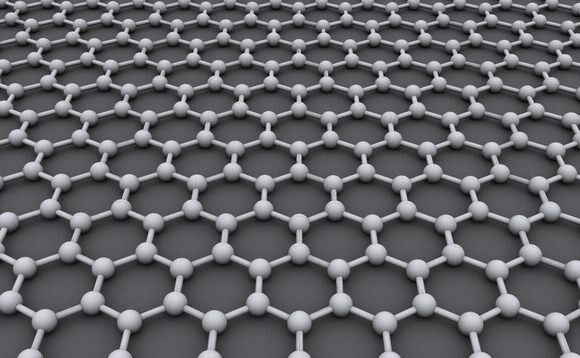 Graphene is widely used in manufacturing high-frequency electronics, ultra-wide bandwidth photodetectors and sensors. Earlier this year, a group of scientists at MIT demonstrated that a system of two layers of graphene can exhibit superconductivity, provided two hexagonal nets in the lattice are twisted against each other at a specific angle. This twisting forms a flat band in the electronic structure of the compound. However, it is a complex and expensive process to prepare such a system with an exact twist in two layers of graphene. Now scientists at HZB, including Dr. Andrei Varykhalov and Professor Oliver Rader, have demonstrated a simpler way to create a flat band in graphene. The researchers produced the samples in this study by heating a silicon carbide (SiC) crystal until all silicon atoms evaporated from the surface. This left the surface with two untwisted graphene layers lying on top of each other. According to scientists, this process of making a graphene system is suitable for producing the material in large quantities. After creating the samples, the team scanned the band structure using angle-resolved photoemission spectroscopy (ARPES) to get an idea of the distribution of charge carriers among the quantum-mechanically permitted states. The ARPES technique enabled scientists to measure band structure with an extremely high resolution and to spot an earlier overlooked flat area next to the band gap. According to the scientists, the presence of a flat band area situated precisely at the Fermi energy is a necessary condition for superconductivity. The energy level of the flat band area in the two-layer graphene system was measured at 200 milli-electron volts below the Fermi energy. However, scientists claim that this energy level can be easily raised by applying an external voltage (gate voltage) or doping the material with foreign atoms. The study also revealed that the flat band area in the two-layer graphene system is formed due to interactions between the graphene and the SiC lattice and between the two layers of graphene. This mechanism can be used to control the band structure. The detailed findings of the study are published in journal Science Advances.